1. Mash up a strawberry. 2. 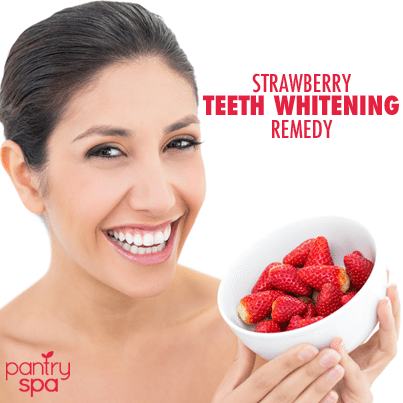 Scrub your teeth with the strawberry pulp. 3. Voila! Pearly white teeth! I watched a video online and saw that when doing the strawberry teeth whitening remedy, you were also supposed to use baking soda? can you still use baking soda, or is it better to just use the strawberry pulp? Above states “the chemicals in the strawberries will remove a little bit of the enamel.” Did you mean to write this or was it suppose to read “whitens the enamel?” Just curious. Because I want to do the one that is healthier for my teeth. Thank You!